You may have noticed but the Australian dollar has been very volatile against the American Dollar. In fact it has lately been volatile against all the major currencies including the Yen, the Euro and the British Pound. The reason for this is varied but it has been a consistent theme since the beginning of the year. Against the USD this can be explained by the trade war between China and the USA. Australia being highly dependent on China for trade means any time there is an issue there it effect our currency. The Euro is being influenced by economic troubles there and the British Pounded has been pounded (excuse the pun) by uncertainly about the Brexit. The biggest impact on Australia is when there is extreme fluctuation with the USD. Australia is a commodities bases economy with all our major exports sold in USD. So any fluctuation there has an extreme impact on us. This also includes imports like MMA mats and jigsaw mats. Obviously when the value of the AUD goes down then the cost of our exports to other markets also goes done. This usually has the effect of increasing demand for our exports. 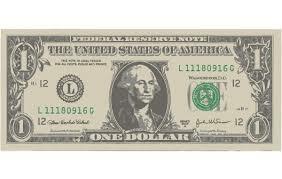 On the flip side when the dollar goes down it also has an effect on MMA mats and jigsaw mats by increasing their price. Both MMA mats an jigsaw mats are a consumer product and are not considered a commodity. If the price for them goes up in one country it is not easy to find a replacement. So in effect if it difficult to switch suppliers. It is for this reason that the price of both MMA mats and jigsaw mats could go up in the future if the value of the Australian Dollar continues to fall against the American dollar. The AUD gained and all the usual gauges associated with global growth rose. There is growing optimism that this week’s round of talks between China and the US on trade will result in US Treasury Secretary Mnuchin and Trade Representative Lighthizer are set to hold talks on Thursday and Friday with Chinese Vice Premier Liu He, the top economic adviser to President Xi Jinping. The AUD has suffered in recent months falling by more then 2% since the New Year. This has mainly been due to the softening property market which is coming off a multi-year boom. With prices down more then 10% in some districts it has had the effect of dampening consumer demand. This has got some people talking about a interest rate cut instead of an increase which had previously been factored in for 2019. It is then no wonder that there are currently multiple containers heading for Australia filled with jigsaw mats and other training and martial arts mats. It is expected that this trend with continue despite the fluctuating AUD. I must admit that I am the a greatest fan of professional golf. It looks like a fun game and I would like to place it some day but most professional golfers look like escaped cast members of “The Hobbit”. It was with that in mind that I found myself fascinated in my sudden interest in golf the last few months. You see after many years in the wilderness all the sudden Tiger Woods was making waves again. Whilst not a fan of Tiger per se I was interested in the tale of the come back kid making his way to the top. Judging by the crowds at the US PGA tour on the weekend I was not the only person. Indeed it seemed that everybody was mesmerised by the return of Tiger Woods to top form. After teasing us over the last few weeks with near misses at other events Tiger Woods has finally won his first title in five years. What will go down as the biggest comeback in sporting history Tiger lifted a remarkable victory with a two-shot win in the Tour Championship in Atlanta, Georgia. Tiger was able to fend off a spirited challenge from the likes of Justin Rose and fellow American Billy Herschel to win his 60th title an pocket $US1.62 million in the process. This outstanding victory is sure to elevate Woods’ profile and standing in the sporting community. He will surely receive some huge offers from sponsors following this remarkable outcome. Indeed Direct Mats CEO has stated that he would love to come on board as a Tiger Woods sponsor in the near future. 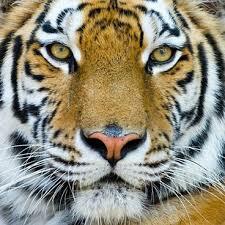 “Tiger would be a great advocate for our jigsaw mats and foam mats.” said Direct Mats CEO. “You know it what our mats are about. Sometimes you get hit. Sometimes you hit the floor. But with the right support you can always get back up,” he said. Jiu-jitsu has become increasing popular in the west. For a long time Japanese jiu-jitsu has be very popular. 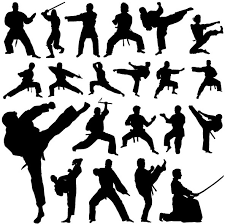 When the vets came home from WWII they brought with them the various martial arts they encountered. Amongst then were judo, karate and jiu-jitsu. All of them has their particular appeal and with time generate there fan-base. Jiu-jitsu although a little less mainstream became popular amongst martial arts aficionado. What appealed to them was the esoteric nature of the art and the mix between grappling and stand up fighting. Later on when we saw the explosion of BJJ or Brazilian Jiu-jitsu. This mainly came about after the Gracie’s changed all other martial arts and one. The site of a small guy in a traditional Japanese Kimono shocked the martial arts world and lead to a huge interest in the art. What started off as an unknown arts in the world expanded into BJJ schools and competitions all over the place. You can now find BJJ where ever you go and the standard is very high. Eva Mats are martial arts or jiu-jitsu mats which are made from EVA material. It is a foam like material which has the benefit of being able to absorb impact or energy. So when something impacts with EVA material it simple absorbs the impact and then returns to it original shape. This is an ideal quality for activities like jiu-jitsu in which the practitioner is very likely to fall to the floor. 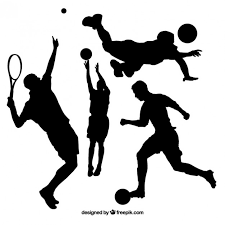 Rather then hitting the surface and getting injured, like with concrete, The impact is absorbed somewhat thereby reducing injury. The other kind of jiu-jitsu mats is tatami mats. These mats more resemble the traditional mats used in Japanese martial arts except that they are manufactured using compressed foam covered in heavy duty vinyl. While they can still me arrange like the more traditional grass mats they are inherently more durable and easier to clean. They are also much cheaper then the traditional variant. These jiu-jitsu mats are commonly found in professional environments. These mats are very versatile and can be used in home gyms, martial arts centres, yoga studios, commercial gyms as well as children’s playrooms and more. They are very affordable and easy to install. Jigsaw mats are easy to maintain and only need to be vacuumed and mopped at regular intervals. The mats don’t need any glue to hold them in place. They are like individual units of a jigsaw puzzle and need to be snapped into place. This makes for very quick installation and an average size room can be easily covered within a couple of hours. These mats provide sufficient cushioning to the feet even as they provide the firmness required to perform floor exercises. Once the mats have been installed expertly, they won’t move from their position unless you make an attempt to move them. Our jigsaw mats are made from very resilient and durable material and the cost of ownership is very low, which make them an economical option. The mats are easily removable. So if you find that you no longer need them in a particular place, you can easily remove them without damaging the floor underneath. Jigsaw mats are reusable; which means you can easily install them in another location once you remove them from one space; this means they also provide long-term value. We at Direct Mats are a premier supplier of all types of jigsaw mats. 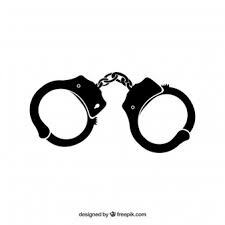 For any more information, feel free to call us at this number-1300 168 829. Alternatively, you can send us queries via this Online Form as well. If you are setting up a gym you know that hard flooring isn’t suitable for it. You need a surface that would provide support and the right amount of cushioning so that your gym members don’t injure themselves while they are working out in that space. The space they are to be installed in is one of the first considerations to keep in view. You need to consider what the floor plan is and the segregate the spaces based on the activity that is to be carried out there. You also need to keep in view the type of equipment that will be placed there and the amount of padding you need in every area. The existing floor needs to be in a good condition of you want the gym mats to perform well. While it doesn’t matter what your original floor looks like, it needs to have a smooth surface so the mats have a stable base to sit on. If your gym floor has dinks or rough surfaces, those may have to be leveled out before any other work is carried out in that space. If you are planning on getting gym mats installed in the weight lifting areas of your gym, you should consider getting underlay installed as well. These provide additional protection from impact. It’s never a good idea to compromise on the quality of the gym mats you purchase. Always conduct a certain amount of research on the types of mats that are available. Make sure you choose products that provide a sufficient amount of cushioning and are resilient enough to endure heavy wear and tear. It’s always better to invest in good quality gym mats rather than keep replacing them every now and then. We at Direct Mats are a premier supplier of all types of gym mats. For any more information, feel free to call us at this number-1300 168 829. Alternatively, you can send us queries via this Online Form as well. Studies have shown that if you lead a healthy and active life you will live longer and will be less susceptible to illness and therefore a early death. Whilst there are a lot of hereditary diseases out there most illnesses are due to poor lifestyle choices. This is why people increasingly find themselves leading more active lives including exercising more regularly. Regular exercise is recognised as the best way to keep your weight in check and good cardiovascular health. To achieve a balanced life is not easy and not all people have time to go out or go to the gym. That is why people find themselves training more and more at home. Whether in the garage, outside or some other spare space it is always easier and faster to just do it at home. But to be able to train effectively at home it is necessary to have the right equipment. Whilst the first thought may be to equip oneself with weights, exercise bikes and training machine scant regular is often given to the right gym mats. Indeed gym mats should be one of the first things anyone should think about when deciding to train at home. Gym mats are probably the most important piece of equipment that you could have in your home. Gym mats are suitable for all sorts of activities and have many benefits to offer. Gym mats are made from foam which acts to absorb impact when training. It is the fact that gym mat are made from EVA foam that they are so great. It is also why they are also called foam mats. Foam mats are not only a popular for home use and fitness fanatics. They are also very popular with professional gyms. Which is why next to you go to a gym make sure you check it out and see what kind of training mats they are using. Training on hard surfaces can lead to long term injury, but fortunately, a solution is at hand. Direct Mats are now offering jigsaw mats and puzzle mats which can reduce the impact of hard training on the body, helping to prevent injury and ensuring maximum fitness. Regular training on hard surfaces can lead to impact injuries but with foam mats, these injuries can be prevented. The main benefit of these jigsaw mats is that they allow individuals to train longer and harder than they otherwise could by reducing the impact on the body. Our gym mats are for high-impact training such as martial arts and tatami. Indeed our mats are suitable for practically any activity. Thicker puzzle mats are appropriate for more intense, higher impact sports, such as MMA, while lower thickness mats are more suitable for sports like yoga and gymnastics. The majority of our foam mats are made from ethyl vinyl acetate, a blend of a rubbery copolymer of ethylene and vinyl acetate, often used in the soles of sports shoes. This material is used because of its proven ability to absorb shock and protect delicate joints and tendons from injury. Gym mats come in a variety of thicknesses, tailored for different use scenarios. At the moment, the company supplies puzzle mats in 20mm, 30mm and 40mm widths, as well as a variety of specialised tatami and MMA mats in 40mm. Direct Mats is one of Australia’s leading supplier of gym mats. It currently supplies safety mats to a range of organisations, including schools, sporting clubs, government training details and commercial gyms. Part of the appeal of the company’s products is that they are amenable to practically any environment. Jigsaw mats, in particular, can be customised to any facility or room, offering a temporary or permanent floor covering to improve safety and boost comfort. The company says that the mats are easy to lay on any floor and are both durable and highly portable. MMA mats are manufactured using heavy duty vinyl. They have a smooth finish, helping to reduce friction burns while providing maximum impact cushioning. Currently, the MMA mats from the company are available in 40mm in either black or grey and offer a low-cost solution compared to other brands in the industry. Currently, Direct Mats ships to organisations across Australia. Customers are also able to pick up mats direct from the company’s warehouse if they book an appointment in advance. To find out more about the products or to make an inquiry about freight costs, go to https://directmats.com.au to get in touch with the company. The time of year to start getting ready for summer is here. Start some extra training to loose weight so you can look good and feel better about yourself. Before planning your training your should look at buys some training mats. A few gym mats will help you prolong your training whilst limiting the damage hard training can have on your body. Gym mats are aways a great way to help combat the fatigue that comes with hours spent training and exercising. Gym mats come in a variety of thicknesses to be tailored to the intensity of the activity you are doing. You should always choose the right mats for the kind of activity you are doing. Different mats thicknesses are appropriate for different activities. 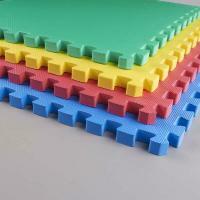 Foam mats are and make from EVA foam which has excellent qualities which help assist with limiting injury and fatigue. Foam mats are used by people all over the world for all sorts of activities. Foam mats will help you really ensure that your time spent training won’t lead to unnecessary injuries or body fatigue allowing you to train for longer and much harder. Direct Mats offer a variety of gym mats, karate mats, cheap bjj mats and training mats. Below you can find what we have to offer, along with detailed information about the qualities of our mats. We have warehouses located in Sydney and in Melbourne and we offer delivery throughout Australia. We have active stock which arrives regularly, so there is no waiting period when we are out of stock. Of course, you can always give us a call to keep you updated on our regular stock. You can see the remaining stock quantities in our store online. Please feel free to browse our website on what we have to offer and contact us via phone or email if you have questions about our products and delivery. We are more than happy to help you out with whatever you require. Our mats are ready for shipping across the country. We have shipped mats to every nook and cranny throughout Australia. Additionally, door-to-door service is not a problem. Our Jigsaw Mats are considered a great alternative for a training platform. Jigsaw Mats are always the most sought after item, used by many organizations, and are regarded as a highly among our customers. Often used in schools, correctional facilities, the police force, MMA organizations, schools, government and non-government organizations, to name a few, jigsaw mats are one of our most valued products. They are a tried-and-tested, high-quality product, and regarding the price, it’s an absolute budget-friendly item, guaranteed to suit your training needs. Our mats come with edging which can be cut to suit your training area. As they are EVA foam they are easy to cut with a simple Stanley knife or box cutter. EVA Mat is just another name for jigsaw mats. 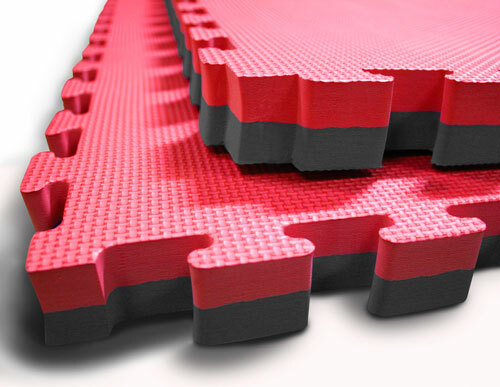 EVA mats are a special kind of mats which are manufactured with expandable foam. EVA mats are made from eva play tiles, a material which can be stretched and applied across the field and is also used in a variety or safety products. This makes them ideal for the manufacture of training mats. 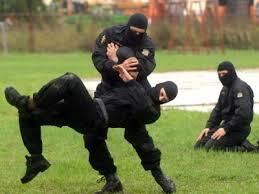 It is also what makes EVA Mats very suitable for training during physical and high impact activities. The qualities that EVA Mat have help reduce injuries and break any awkward fall. Whilst they are not a substitute for a measured training regime, it is always a good idea to use the EVA safety mat when partaking in extremely physical and intense activities. 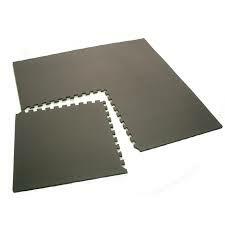 One of the great aspects of our jigsaw mats is that they are interlocking rubber mats. Interlocking mats are a must for every training exercise and offer huge benefits. Seeing that our interlocking mats are light means that they are a good option where you next to use the mats in a temporary setting. The light and flexible material ensures covering up grounds is less challenging. Lots of activities take place in school halls and similar locations which require the mats to be put away when not in use. Interlocking mats can be easily assembled, do not require any special handling and are very easy to use. 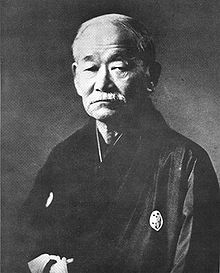 You guessed right when you thought of Tatami Mats as ancient Japanese Dojo mats, used by zen-masters at the foot of Mount Fuji. 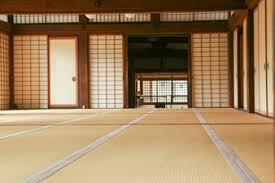 Traditional tatami mats have been used by the Japanese for centuries in houses. Originally made from straw, with a very distinctive pattern, they are a easily recognised mats. The is however a huge difference between our mat and the traditional Tatami. They may share a similar pattern but their use and the material they are made from are vastly different. Our Tatami mats are generally used for many martial arts, by judo organisations and other traditional martial arts. These days tatami mats are also used for other activities and are especially utilised by grappling sports such as BJJ mats and wrestling mats. Our Tatami mats are made from heavy duty vinyl, with an inner core of compressed foam and a non-slip rubber tiles back. These days tatami mats are also used for other activities and are especially utilised by grappling sports such as BJJ and wrestling. Our MMA mats are very similar to the tatami mats except for one thing, a perfectly smooth finish. With MMA and other no-gi grappling arts, a smooth surface is absolutely obligatory for the prevention of mat burns and other injuries. Constant falls, impacts and the erratic movement of the users on a textured surface can lead to skin scraping and grazing. The smooth surface ensures smooth sailing. This is why many MMA organizations prefer the smooth surface such as with our MMA mats. Our MMA mats are 1x2m, 40m, thick, with a density of 230kg/cm. If you require gymnastics mats then check out our website or give is a call. Jigsaw mats can vary in size, despite being in the same set. 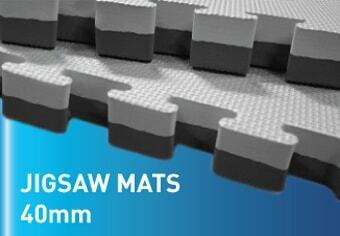 The advertised 40mm Jigsaw Mats can differ in thickness by 1-2mm, more or less. The same goes with our other mats with a 20mm and 30mm thickness. Due to the fact that Jigsaw Mats are manufactured with expandable foam, it is impossible to sustain and measure the exact same thickness precisely. It is very important to consider this and keep in mind, along with the other characteristics of EVA Jigsaw mats before completing a purchase. It is also important to note that the exact colour of mats can vary from batch to batch and may or may not be the same shade of colour as the advertised mats on this website. If you are matching mats with the previous orders, or you have mats ordered from another supplier, please request a sample for matching. Direct Mats are happy to supply you with a sample (at the customer’s expense) for testing.